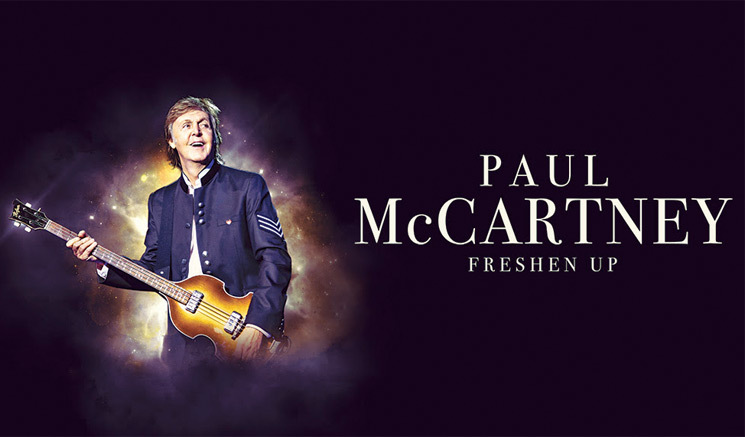 It comes as part of his "Freshen Up Tour 2019"
Paul McCartney is returning to Canada. Yes, he's announced more dates as part of his "Freshen Up Tour," and the Beatles legend has confirmed he's coming to Vancouver. A press release explains this will mark McCartney's only Canadian show of 2019, and it will happen on July 6 at Vancouver's BC Place. The concert comes alongside a few other newly announced 2019 tour dates, including U.S. shows in such cities as Los Angeles, Las Vegas, San Diego and more. You can see his full schedule here, where you can also get info about tickets. The dates all come in support of last year's Egypt Station album. As previously reported, McCartney hit up Canada last year for shows in cities such as Quebec City, Montreal, Winnipeg and Edmonton. Egypt Station is our now via Capitol Records.